Considering the demand for Agricultural Engineering graduates in this state, the State Government permitted the Agricultural University to start a 4-year B.Tech (Agril.Engg.) Degree Programme in the Department of Agricultural Engineering, Agricultural College, Bapatla from the academic year 1983-84. The Head of the Department of Agricultural Engineering, Agricultural College, Bapatla was designated as the Officer-in-charge of the programme under the administrative control of the Principal of Agricultural College, Bapatla. The degree programme was started in the month of July 1983. However, the college continued in the campus of the Agricultural College, Bapatla till it was shifted to new campus on NH 214-A in Karlapalem road in May 1994. 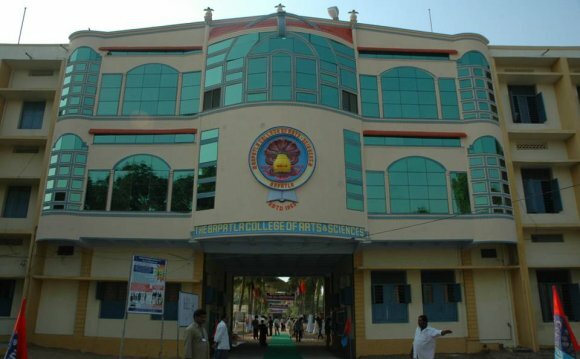 A separate campus (existing campus) for the college was planned in a 25 acre area on NH 214-A i.e., on Bapatla – Karlapalem road provided by the Panchayat Raj Department and the foundation stone for construction of the building complex was laid by Dr.N.T.Rama Rao, the then Hon’ble Chief Minister of Andhra Pradesh on , it was named as Visweswaraya Bhavan after the great engineer Sir. Mokshagundam Visweswaraya. The college buildings constructed at a cost of Rs.46.45 lakhs were inaugurated in the new premises on 5-5-1994 by Sri K. Jana Reddy, the then Hon’ble Minister for Agriculture of Andhra Pradesh and the college was shifted to the new buildings in May, 1994. The college has the unique feature of being the only college offering B.Tech (Agril.Engg.) degree in Andhra Pradesh State till 2008. The annual intake of the students into the degree programme was only 20 in the initial year 1983-84 and later was raised to 65 in the subsequent years. The admissions are made through EAMCET conducted by the Government of Andhra Pradesh and also through the UG- level ICAR exam. At present the annual intake is 65 plus 8 from ICAR quota. Bapatla, formerly known as Bhavapuri, is a town and mandal of Guntur District, Andhra Pradesh, India. It is located 40 miles (64 km) south of Guntur City on the East Coast. Yazali is a small village located in the costal Guntur District of Andhra Pradesh, India. The population was 3,103 (2001 figures).